Heavyweight 180gm virgin vinyl LP repressing of this 1972 album. 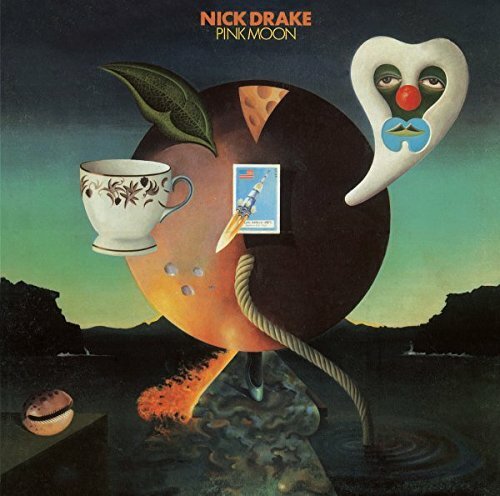 Nick Drake's third and final album, many consider to be his finest moment, was a radical departure from his previous work, stripped of the lush orchestral arrangements, Pink Moon featured Drake alone on vocals, acoustic guitar and the occasional piano accompaniment. This starkness was matched in brevity, with Pink Moon consisting of 11 short songs coming to less than half-an-hour of music. Though critically well received at the time, commercial success did not arrive till nearly 30 years later, when 30 seconds of 'Pink Moon' was used in a Volkswagen commercial.